Non stock. Special order item. 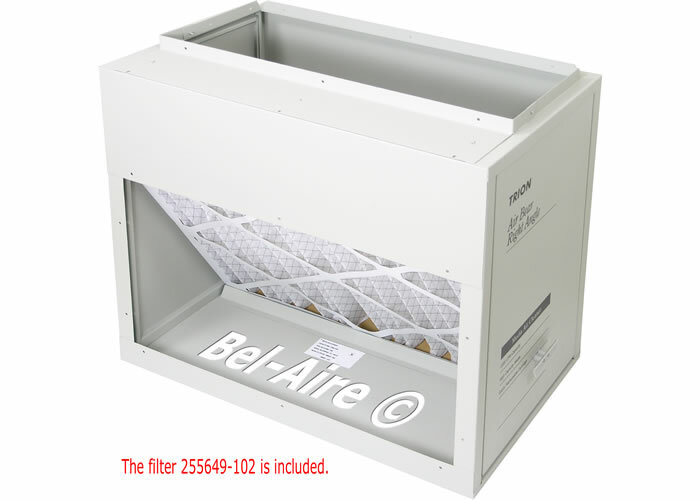 Trion Air Bear 20 x 25" 2000 CFM Right Angle (reversible) media air cleaner. Textured power coat finish on 20 gauge steel. 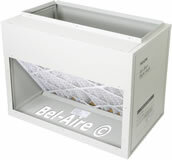 Includes the steel cabinet, access door, and one air bear Merv 8 filter 255649-102.